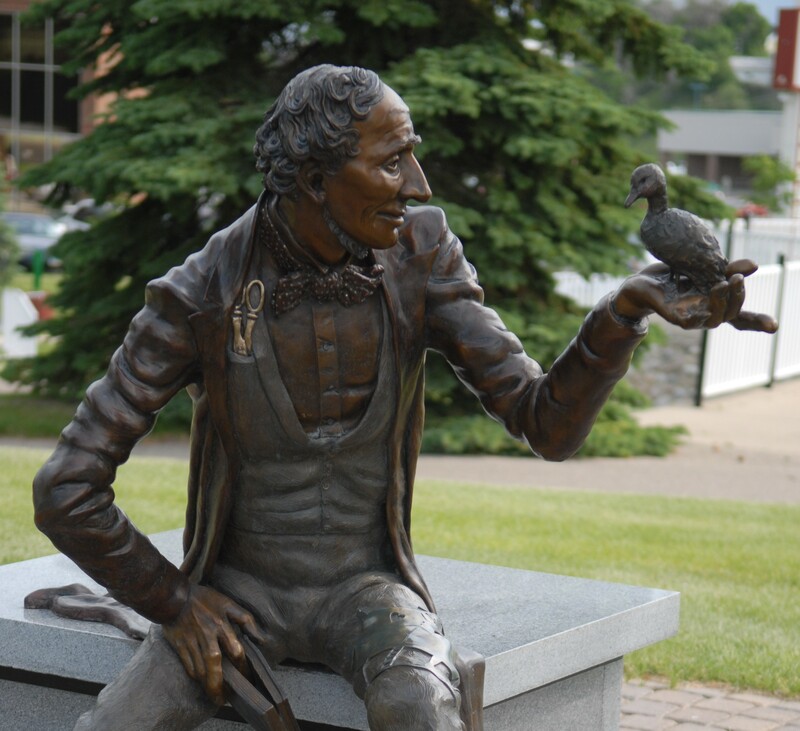 Hans Christian Andersen nearly comes to life in the park’s newest statue, which was sponsored by the Danish Society. Shari Hamilton of Westhope was the sculptor of this magnificent work of art. 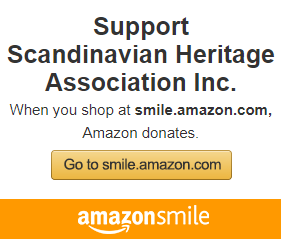 It was dedicated on October 5, 2004 during and unveiling ceremony attended by representatives of the five Scandinavian countries. 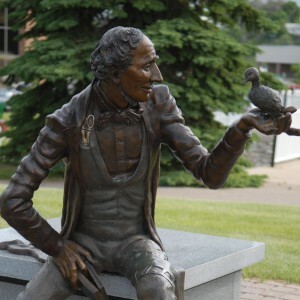 The sculpture was funded by Lynn and Marilyn Odland of Mitchell, SD in honor of Mr. Odlund’s mother, Alice Nelson-Odlund, an elementary teacher who encouraged her students to read, using the Andersen fairy tales to spark their interest. Hans Christian Andersen was most famous for his fairy tales even though he wrote novels, poems, plays and travel articles. One of the things his works taught was that beauty comes from within.